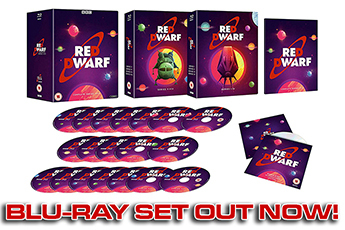 2009 has arrived - but how much do you know about Red Dwarf's complex dating? 1. What year do the crew travel back to with the time drive in Out Of Time? 2. What year is show on-screen during the Aigbeth Arms opening of Ouroboros? 3. In what year do the crew barbecue and eat a body in Texas? 4. What year is it when the crew land on the backwards Earth? 5. What is the date shown on-screen as Lister leaves his infant self in the pub in Ouroboros? 6. What is the date shown on the wall-clock in the showers during Stasis Leak? 7. What is the date of the news bulletin shown in Better Than Life? 8. On what date the crew encounter the pan-dimensional liquid beast from the Mogadon Cluster? 9. On what date does Gazpacho Soup Day fall? 10. What date is shown in Stasis Leak and described as three weeks before the crew got wiped out ? 11. On what date is Rimmer's Auntie Maggie's Birthday? 12. Which of these medals does Rimmer not have on his dress uniform? 13. 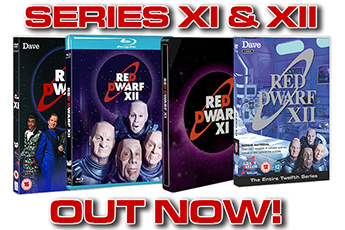 How many years does Rimmer spend imprisoned on Rimmerworld? 14. How many years in the Tank are the crew sentenced to in Back in the Red? 15. How many years is the sentence handed out to Rimmer by the justice computer? 16. How many years does Rimmer say the King of the Potato People intends to keep Cat, Kryten and Lister in quarantine? Whose Century Is It Anyway? 17. What century does Lister refer to when he says he's an enlightened X century guy? 18. In what century was the science facility in Legion created? 19. 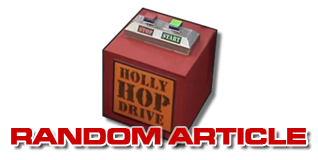 According to the clock aboard Red Dwarf in Stasis Leak, what century was the original show set in? 20. 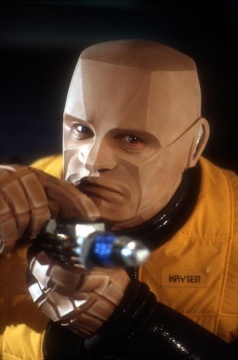 What is the copyright date on Kryten's internal display as shown in Terrorform?